It’s back, and it shoots! – Wandering Wyoming…and sometimes, other places. It’s back, and it shoots! 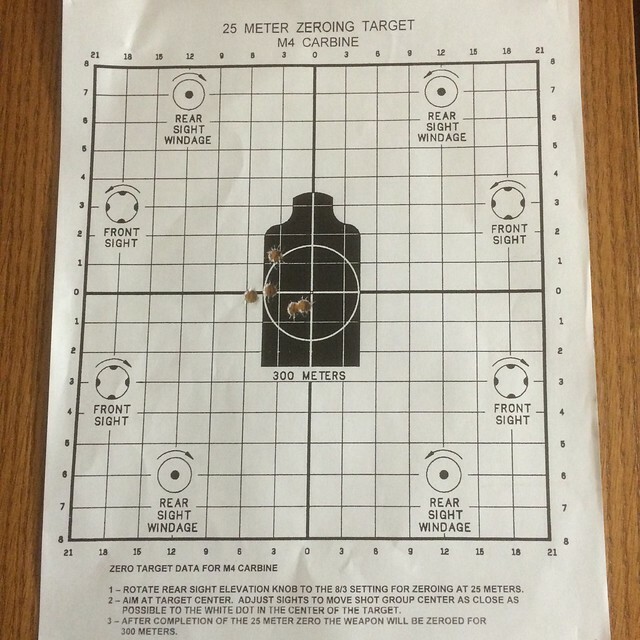 Pretty good group for an old fat guy shooting through iron sights at 50 yards. good enough for a battle rifle, anyway. I’m no fan of the setscrew repair (not at all a jab at Fulton Armory-they did a great job) of the FSB, so I’ll likely replace the FSB and barrel with something from Daniel Defense. The dealer I bought it from has been great, so he gets my business. He’s called RRA to try to get them to pony up for a barrel or cash for the repair-we’ll see. I’m not holding my breath. I’m shooting the dreaded M855 AP that the BATFEIEIO is trying to ban. Lousy bastards. Still looking for a place to rent, the rental market is pretty tough around here. I have a lead on a place on or around the 26th, and it’s cheap, so I hope it pans out.